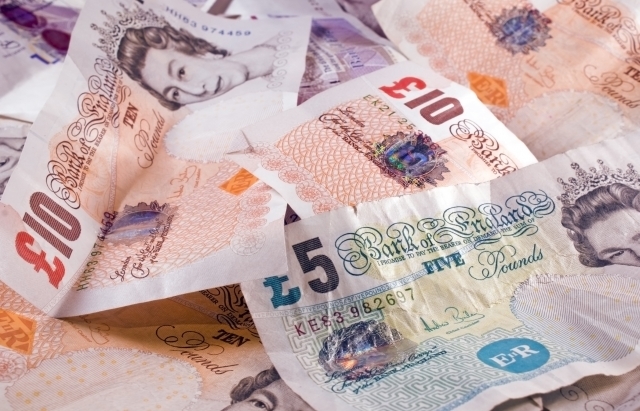 So what is the best savings account for £100k? With £100,000 in cash it's important that you secure the best savings rate. Keeping money in cash is risk free so the returns are lower than the potential returns if you invested in stocks and shares, investment funds or other more risky alternatives. Below I show you the steps to take to get the best return on £100k cash (as much as 6% a year) as well as the simple way to ensure you are always in the best savings account for £100,000. Then I also tell you the best & easiest way to get the best interest rate on £100,000 with traditional savings accounts, which gives you an extra £915 interest a year on top of what you are likely to achieve on your own. Any money you invest with a UK bank or building society is protected up to £85,000 (£170,000 on joint accounts). Take a look at this quick video which explains the scheme. The scheme covers you for up to £85,000 in each account where you are invested providing the bank or building society has their own banking authorisation. Some banks and building societies are part of a bigger organisation and share their banking authorisation with other brands in the organisation. In cases where this happens you will only be covered for up to £85,000 across all the banking brands within the organisation. So when looking for the best savings account for your £100,000 bear in mind that you will actually need to use two or more accounts with institutions with their own banking licence to be fully covered by the FSCS. Alternatively you could simply open a joint account with your partner and your £100,000 would be fully protected. Of course your partner would be able to access the money without your authorisation. Don't forget that you need to take into account any existing savings account you have with each institution to ensure your £100k is fully covered under the FSCS. Don't forget you can invest up to £20,000 (2018/19) annually in an ISA and receive your interest tax-free. By contrast interest earned from ordinary savings accounts is taxable. So look to see if the rates available on an ISA beat the net rate you'd get from ordinary savings accounts. Obviously you can only put £20,000 of your £100,000 into a cash ISA each tax year, although your partner could use their cash ISA allowance as well. To find out the best ISA rates currently available just click on the following links. The longer you are prepared to leave your £100,000 in a savings account then the higher the rate of interest you will receive. These longer term savings accounts are generally referred to as 'savings bonds' and are typically for 1, 3 or 5 year term with the interest rate fixed at the start of the term. Access to your £100k is normally still available within the chosen term but you could lose some or all of your accumulated interest if you exceed the withdrawal limits stated. Another alternative is the put your cash in a 'notice account' where you have to give notice for any withdrawals (typically 60, 90 or 120 days), you will receive an enhanced rate of interest on these savings accounts. Take a look at the accounts available below and compare the returns available to find the best fit for your circumstances. We often look at current accounts in terms of ATMs and Direct Debits without realising that you can get high levels of interest on some current accounts which is worth checking out. If you click on the link below it will show you the best interest paying current accounts. However you won't receive the top rate of interest on the full £100,000. Peer-to-Peer lending means lending money to individuals, or "peers", without going through a traditional financial intermediary such as a bank or other financial institution. They work by matching individual lenders and borrowers online which usually means better interest rates for savers than traditional savings accounts with a bank. For example, Ratesetter offers an ISA account earning up to 6% a year plus they will give you a £50 bonus if you invest £500. Traditional banks take savers' money, pay interest, and then lend it to other customers in the form of loans at a higher interest rate, keeping the difference as profit. Peer-to-peer savings accounts aim to cut out this middleman for the benefit of savers and borrowers. You do need to be aware, however, that currently Peer-to-Peer lending is not covered by the Financial Service Compensation Scheme. Many savings accounts advertise a headline rate that looks very appealing but in the small print it states that the interest rate will be reduced after a period of time (typically 6months or 1year). There is no reason why you shouldn't take advantage of these rates but make sure you make a note in your diary the date that the 'bonus rate' ends. Then when this rate ends you can shop around for a better rate that may be available at the time. Also do check the maximum amount allowed in your chosen savings account as some have limits below £100,000. Sign up to the FREE email tracker alert a brilliant tool that I have used for over 2 years. You simply enter your email address and the name of your current savings accounts. Then the service will not only tell you if you could get a better rate now, but will also continuously monitor the market and send you an email if better rates come available. When you use this tool make sure you enter the correct amount invested for each account as this can affect the interest rates available. I highly recommend you read you read the 7 must-know rules of saving large sums. It contains advice on how to get the best interest rates on your money and how to protect your savings from the eventuality that your bank or building society goes bust. While the above process is will ensure you get the best savings account for £100,000 (or indeed accounts) it requires time and effort. Readers and national newspaper journalists often tell me that they wish there was a simpler way. So I set out to find the best solution currently available in the market. plus they will monitor the market for you and tell you when you can get a better rate. They charge only a small fee for the service and the average client with over £100,000 has made an additional £915 a year interest by using them even once the fee is deducted. The call is FREE and the service is excellent and you have nothing to lose by having a chat. Such is the quality of the service that I have championed it in the national press and BBC Moneybox's Paul Lewis regularly promotes their cause.